HelpPublish.com offers book and manuscript editing, typesetting, book page layout design, illustration, book dust jacket and cover design, and many other services to help you publish your book. Whether it's a collection of recipes, a story for children, your cherished poems, or your first novel, we have the expertise to help turn it into a professional publication. If you are preparing your manuscript to submit to a publisher, are self publishing, or using a "print on demand" book publisher, HelpPublish can help you through every step of the process. We have the experience so you don't have to worry. We offer our services to writers and authors, no matter what level of experience or record of previous publication. If you are thinking of publishing a book yourself (self publishing or print on demand) and marketing your book on your own, we can help you present a polished and finished product to the public and even create a web site to promote and sell your book. Ask about our package deal. HelpPublish offers each of our services separately or as a complete package. We can edit your writing: fiction or nonfiction, book manuscripts, query letters, course assignments, articles, dissertations, newsletters, or anything at all, and we can create text for you based upon your specifications. We can also do research for your projects. Regardless of the project, we can turn your writing into a highly polished piece of work. No job is too big or too small. Our rates are very reasonable, and your date requests are honored. Because your satisfaction is our main goal, we also welcome your questions at any point in the process. Just give us a call to discuss the type of editing your manuscript will require and our prices. Young children and teenagers alike can write interesting and entertaining stories and books. With HelpPublish.com's superior proofreading, editing, illustration, cover art, and layout and design services, we can make those stories and books ready for publishing, and at prices even young authors can afford. Silver embossed cover, typesetting, and layout including technical drawings. Choosing the appropriate typestyle and size, column width, indents, paragraph spacing, and chapter titles that will compliment your book and meet the needs of your target audience (i.e., large print for the elderly). Easy to follow, aesthetically pleasing formats. Determining the finished size of your book, number of pages, and placement of text and illustrations. We will create a file that is ready for the printer to produce a completed book, with no additional work or cost..
Cover Designs to Sell Books! creative typography and a photo. Graphic design for covers start with good typography, sometimes combined with photos and/or custom illustrations. Covers designed to get the attention of your target audience (i.e., plant & flower photos for a gardening book). Creation of a printer-ready file. Black and white pen and ink, pencil, photos, etc. Full color - watercolor, colored pencil, photo collage, etc. A web site is an excellent way to promote and even sell your book. 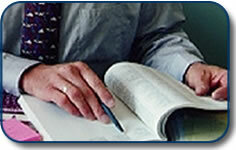 A web site helps inform readers of special events like a book signing or a personal appearance. Fans can find out about your recent books and publications, send fan mail, and provide valuable feedback. We will work with you to make your web site a creative, unique, and personalized place that promotes you and your work. And we make it very affordable. book with a computer colored cover. for Western and historical fiction and nonfiction. For all your web, print, publishing, marketing, advertising, and presentation needs. A detailed list of our services with alternative spellings include: professional editor, editing services, editing for fiction, editing for nonfiction, manuscript editing, help for writers, help for authors, help publishing books and novels, all levels of editing, all writing levels, help for young writers, proofreading services, proof read, proof reading, proof-reading, spellcheck, spell check, spell checking, text editor, text editing, correcting English, correcting grammar, grammar correction, editors in the United States, worldwide service, book preparation for print, getting books ready to publish, getting books ready to print, self-publishing books, formatting services, typesetting, book page layout, book page design, poem book design, book cover design, creative covers, professional cover design, book dust jacket design, author web site design, websites for authors, sell your books online. HelpPublish.com helps authors prepare for publishing or self publishing their books. Proofreading and editing, page layout design, cover design, book jacket design. Fast, affordable, professional, personal service. Typesetting, page layout, book covers, book jackets, for all types of books include western novels, historical fiction, religious and devotional books, cookbooks, poem books, children's books, fiction and nonfiction novels. 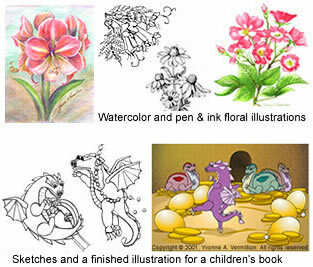 Creative and professional illustration, children's book illustrations, Western illustration, religious illustration. 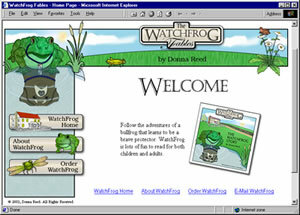 Web site design including shopping cart web sites to sell your books online. Copyright © 2003, HelpPublish.com. All rights reserved.